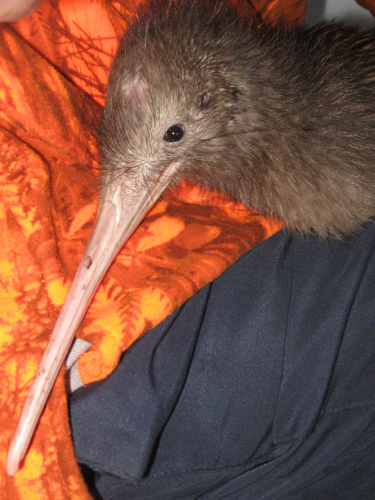 Tindall hatched on Sept 9 2012 at Lovell’s farm at Purua. He spent 3 years on Matakohe island, then on November 11 2015 Tindall made the move to the Whangarei Heads. 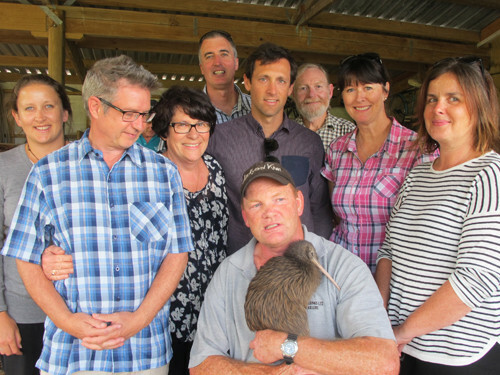 He championed kiwi recovery by meeting the Tindall foundation team and others before his public release. Tindall now has a chick timer transmitter on his leg so we can follow his travels and hopefully his success in breeding. 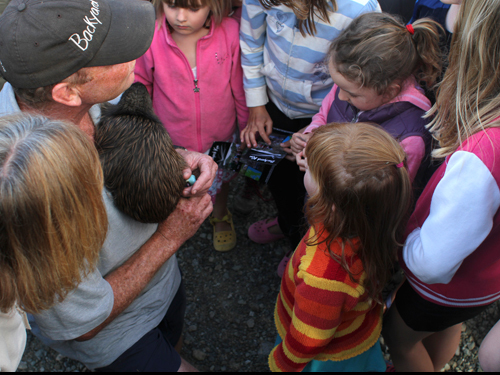 The trapping programme at the Heads means his chicks stand a good chance of surviving to adulthood themselves. This guy has dropped his transmitter, the band holding it on was cracked and split. He was well settled at the Northern end of Manaia. Haven’t managed to get a signal from him this month. I will have a decent look for him. The East side of Manaia. His activity is has risen again to 12 hours. He is proving to be a reluctant breeder. Has moved over to the East side of Manaia. His activity is down to 9 hours so he may be starting to nest. At the North end of Manaia. His activity is still high – 12.5 hours. He had his 6 monthly transmitter band change done and was in good nick at 2000g. His activity is 11.5 hours, he was in Ody’s paddock at the top of the hill. He has settled into Ody’s paddocks on the Northern end of Manaia. Activity 11 hours. 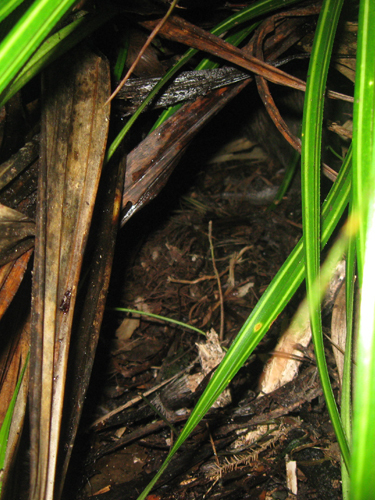 He has moved down into Ody’s paddocks on the Northern end of Manaia – probably enjoying all the crickets there. Activity 11 hours. Still on NE Manaia with high activity of 10 hours. Still on NE Manaia with high activity. It is a year since this guy was released so he needed a transmitter change. 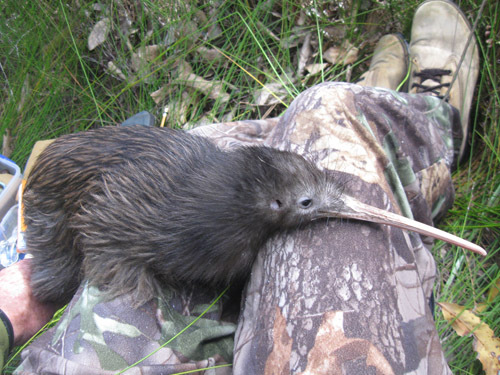 He was a real pain hiding in the dense kiekie at the northern end of Manaia so I had to wait until he was spending some time in the scrub at the end of Our Road to catch up with him. He is a healthy 2000g and his bill has stopped growing at 102mm so he is now full grown. He is 4 years old. He has moved to the NW side of Manaia and when I caught up with him recently he was deep in a hollow puriri so no chance of changing his transmitter. I will try again soon. NE side of Mt Manaia. This guy is another young learner and his first nesting attempt for the season failed after only 11 days according to his radio data stream. Plenty of time for him to try again. North east side of Mt Manaia, he has just started nesting. North east side of Mt Manaia, activity dropping down to 9 hours nightly. I caught up with Tindall early in May for his 6 monthly check . He was a healthy 2000g in weight and seems to have settled in on the North east side of Manaia at Odys. He has moved to the North east side of Manaia and is proving difficult to locate in the kiekie there. 13 hours activity. 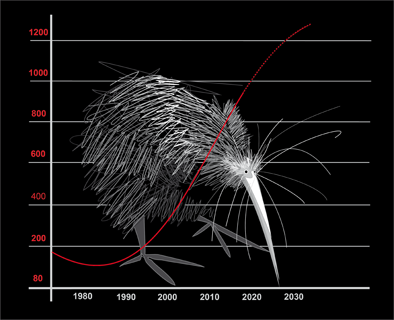 Still on Manaia but he has started moving about a bit – looking for a mate? Activity is 11.5 hours. Has settled on the Kauri Mt coast at this stage. High activity. 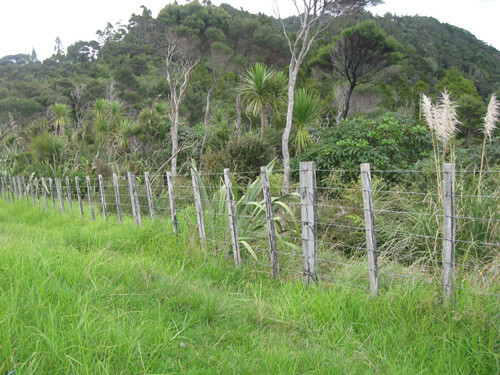 He has settled into the north-western part of Manaia above “Our Road”. His activity is a healthy 9.5 hours per night. 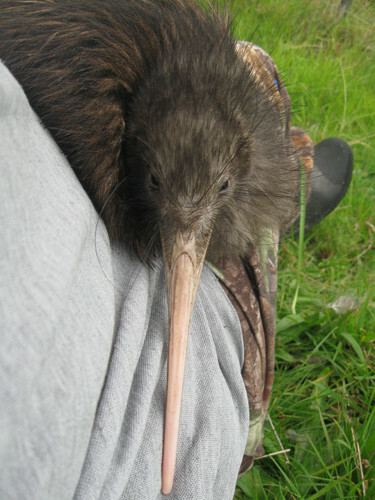 After his release last month he seems to have settled at the Northern End of McLeod Bay – on Manaia above “Our Road”. His activity is a healthy 10 hours per night. 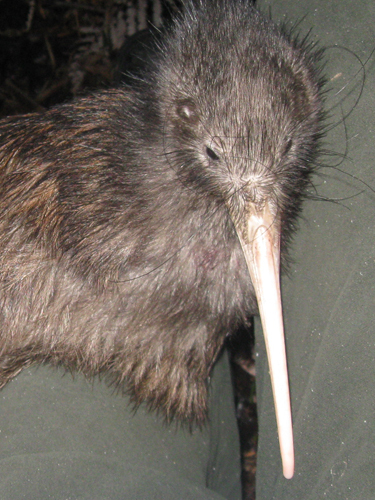 After his release earlier in the month he has been moving north along Mt Manaia. Hopefully he will find a good spot to settle into.